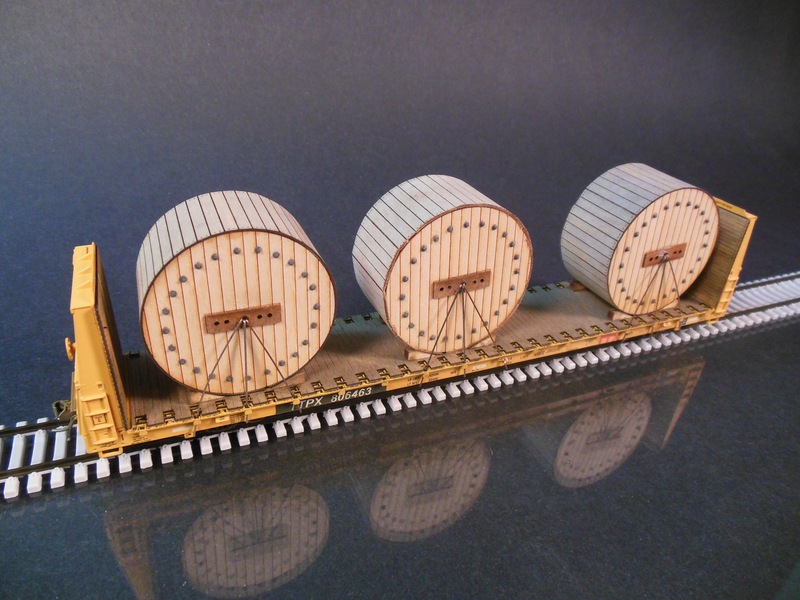 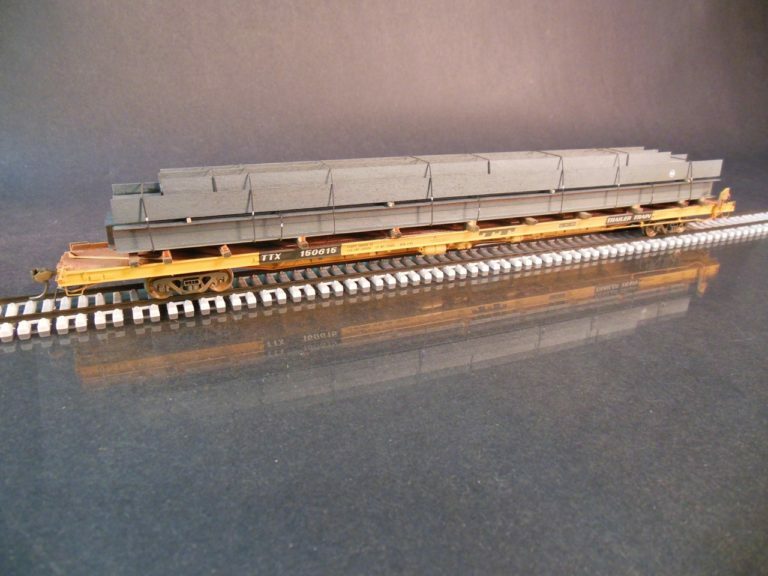 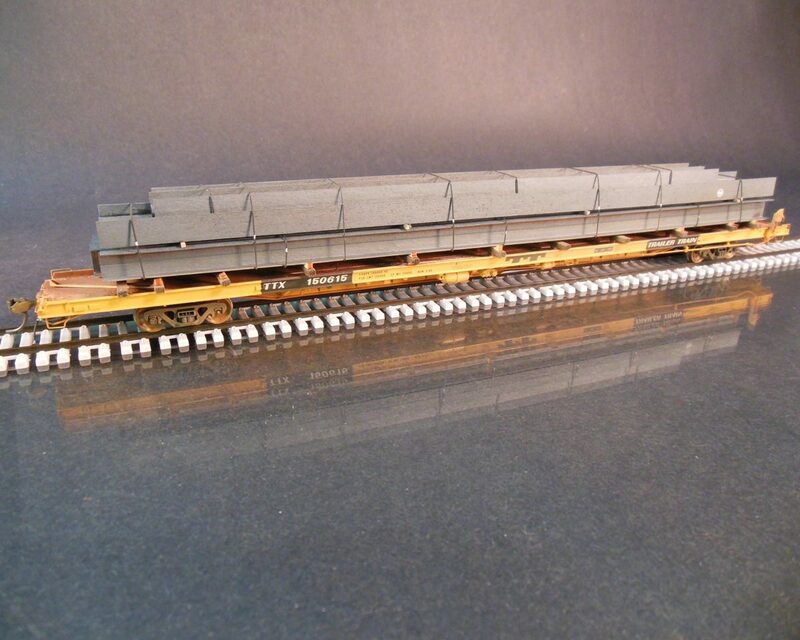 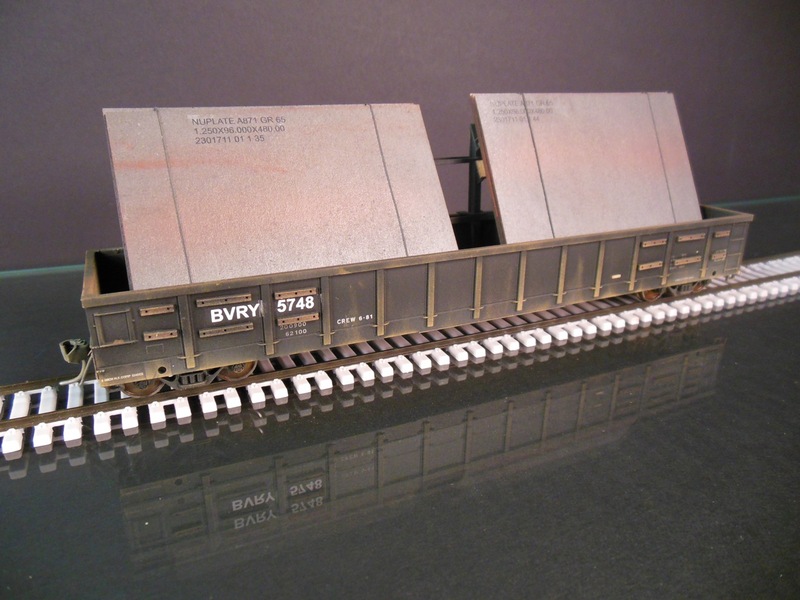 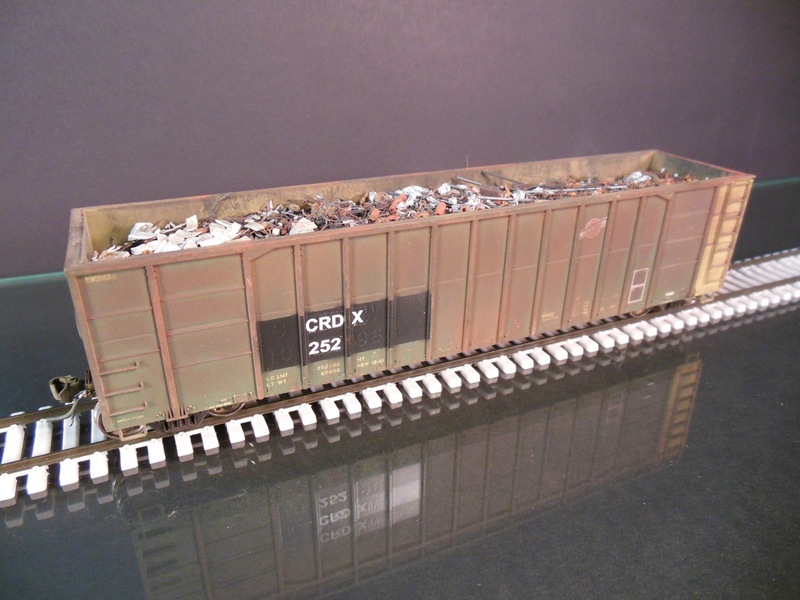 This model features a custom load of steel beams from US Steel. 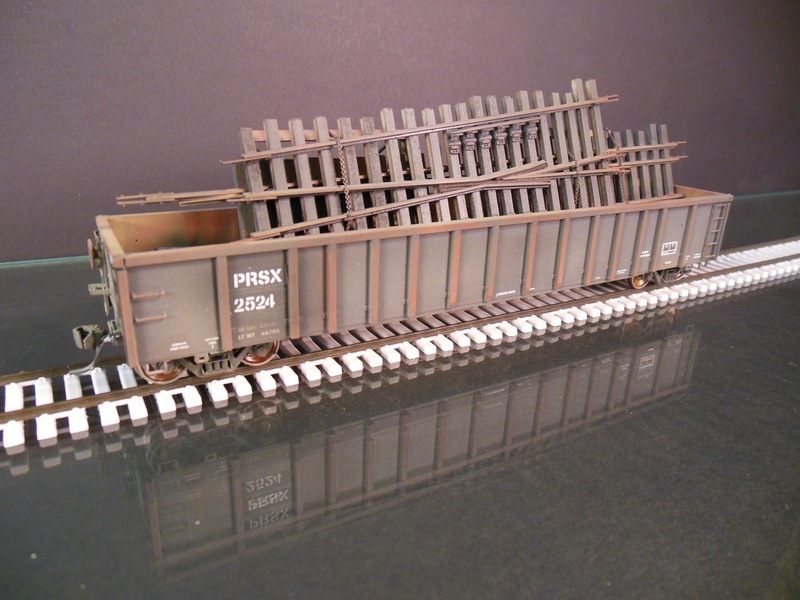 SKU: PTTX 150615. 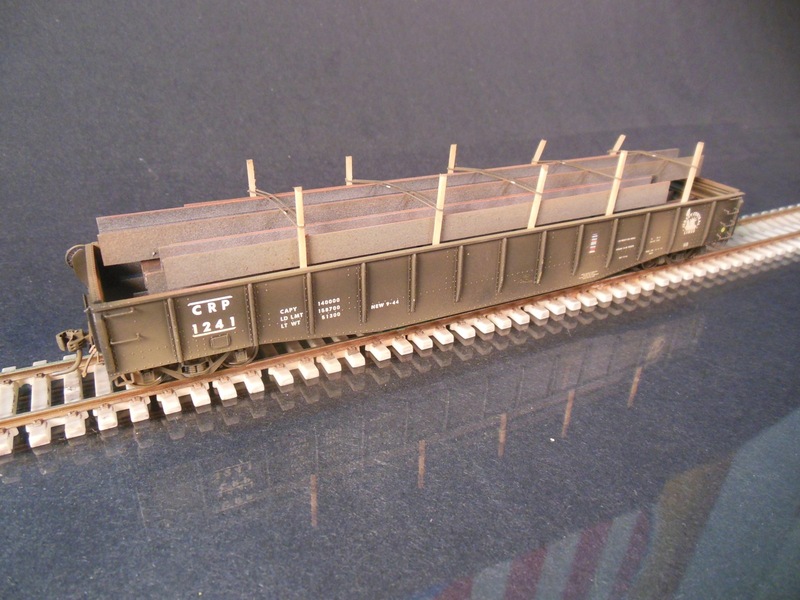 Categories: Structural Steel, Loaded Freight Cars.